The Ministry of Trade, Industry and Energy is allocating funds of 300,000,000 KRW annually for 4 years, until 2021, to the Leading Center for Innovation in Engineering Education as part of the Education Support Program for Creative and Industrial Convergence. As part of the program, SeoulTech will be supported by the Ministry of Trade, Industry and Energy in the amount of 300,000,000 KRW per year for 4 years to develop and provide specialized educational programs that meet the needs of promising future-oriented new industries, to proactively foster experts in new industrial fields, and to spread educational programs to other Centers for Innovation in Engineering Education. Professor Joo, Won-jong, the head of the Leading Center for Innovation in Engineering Education, expressed his wishes by stating: "Since 2007, SeoulTech has been successfully playing its role as a hub for participating universities by spreading the innovative model of engineering education through convergence programs as well as the International Capstone Design Contest, multidisciplinary Capstone propagation, and the Co-op program, and by supporting the establishment of learning factories in participating universities. Reflecting the demands of our time in the era of the Fourth Industrial Revolution, we will strengthen our roles and functions as a leading center. We will also form a huge innovative eco-system through efficient connection with engineering communities." The SeoulTech Leading Center for Innovation in Engineering Education will foster human resources specialized in IoT sensors and semiconductor process technologies (MEMS), as well as establish a Capstone design model based on disruptive technologies. It will also operate an engineering innovation competence academy and an engineering education innovation leaders' group, develop a convergence competence program and contest in accordance with the demands of relevant enterprises, and hold an engineering festival. 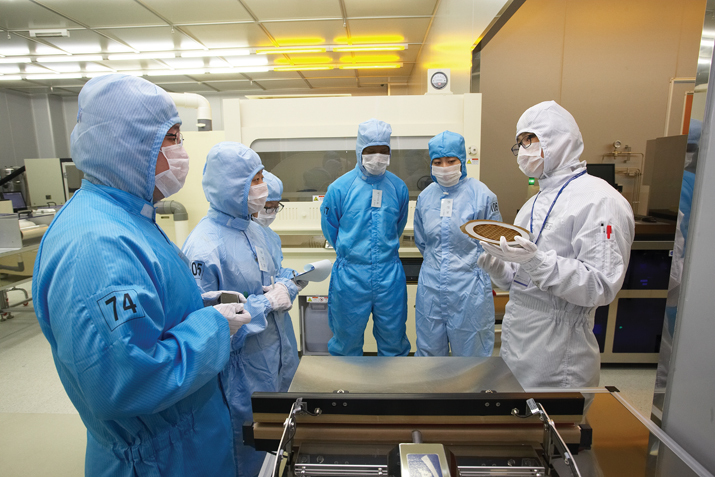 Since 2018, the Ministry of Trade, Industry and Energy has been operating Centers for Innovation in Engineering Education in 58 universities throughout Korea by issuing funds of about 200,000,000 KRW a year to each university. Among them, six universities (Korea University, Pusan National University, SeoulTech, Sungkyunkwan University, Yeungnam University, and Chonbuk National University) are operating as Leading Centers for Innovation in Engineering Education, as they receive a higher amount of 300,000,000 KRW a year. SeoulTech has been participating in the program for 12 years (since 2007). It has been involved in the first and second stages of the Center for Innovation in Engineering Education program (200,000,000 KRW per year), the Hub Center for Innovation in Engineering Education program (250,000,000 KRW per year), and, from 2018, the Creative Educational Program for Convergence in Engineering program (the same program with a new name). SeoulTech won the “University of the Year” prize in the Engineering Festival—the largest event in the field of engineering—for three consecutive years, from 2015 to 2017.